Includes:Fluke 2700G Manual on CD-ROM in 14 languages, Calibration certificate showing traceability, 1/4 NPT female to 1/4 BSP male adapter, 1/4 NPT female to M20X1.5 adapter, Universal ac power supply, USB communication cable. 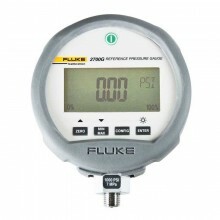 The Fluke 2700G Reference Pressure Gauges provide best-in-class measurement performance in a rugged, easy-to-use, economical package. 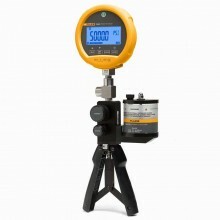 Improved measurement accuracy allows it to be used for a wide variety of applications. A-D Rating. 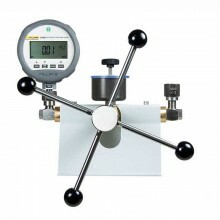 It is ideal for calibrating pressure measurement devices such as pressure gauges, transmitters, transducers, and switches. 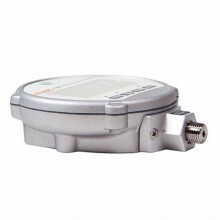 In addition, it can be used as a check standard or to provide process measurements with data logging. 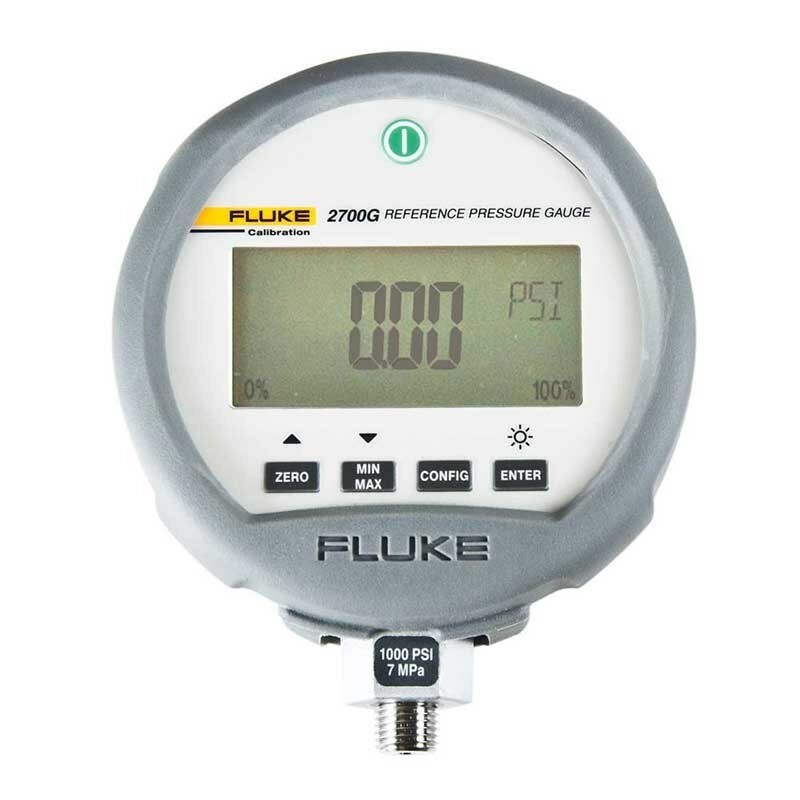 The Fluke 2700G has an easy-to-use interface that allows you to configure the sampling rate, tare value, damping, and auto-off time interval as well as reset the min/max pressure. You can also view the remaining battery life. Select from 21 different standard engineering units, including bar, in H2O, kPa, MPa, and psi. For temperatures from 0 °C to 18 °C and 28 °C to 50 °C, add 0.003% FS/°C. Note 1: Any clean, dry non-corrosive gas. Note 2: Any liquids or gases compatible with 316 stainless steel. Note 3: Any non-flammable, non-toxic, non-explosive, non-oxidizing liquid or gas compatible with 316 stainless steel. Dimensions (H x W x D) 12.7 cm x 11.4 cm x 3.7 cm (5 in x 4.5 in x 1.5 in). Housing/weight Cast ZNAL/0.56 kg (1.22 lb). Display 5-1/2 digits, 16.53 mm (0.65 in) high 20-segment bar graph, 0 to 100 %. Power Three AA alkaline batteries. Weight 0.56 kg (1.22 lb). Fluke 2700G warranty 3 years. 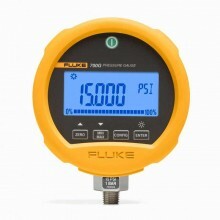 PDF Specifications of the Fluke 2700G Series Reference Pressure Gauges.